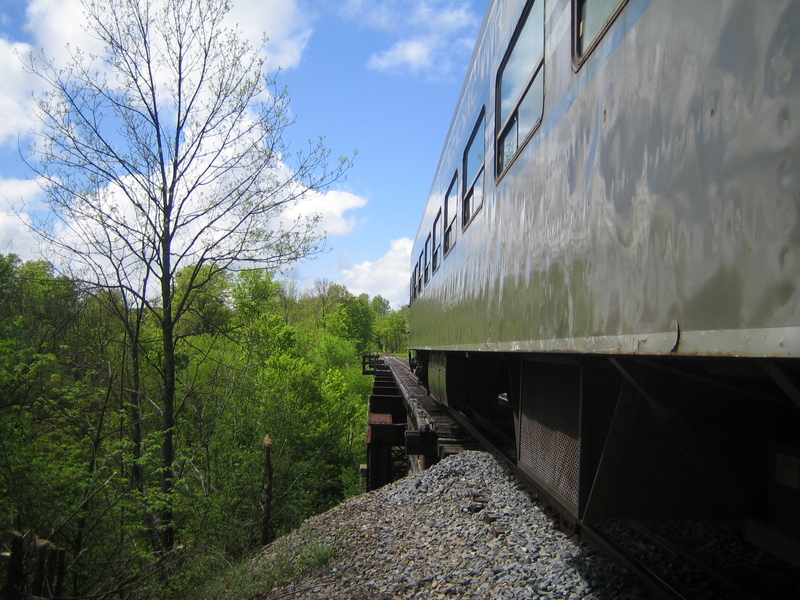 This video was made by a passenger on our Utica to Thendara run on Labor Day weekend of 2012. It’s a great trip for people of all ages! The Adirondack Rail Preservation Society (ARPS), operators of current tourism rail services on the Adirondack Railroad, and Iowa Pacific Holdings, LLC have entered into a Memorandum of Understanding establishing a major new working partnership going forward. A key goal of the agreement is the establishment of high end excursion passenger service between New York City and Lake Placid, utilizing restored Pullman railcars and sleeping cars. “This MOU has been the subject of several months of effort as our two organizations established the basis for a working relationship and as Iowa Pacific fully assessed the potential of the Adirondack Railroad as the next in their continuing series of successful rail service developments across the country,” states Bill Branson, President of ARPS. Iowa Pacific Holdings is based in Chicago and is the parent company of several successful passenger and freight railroads around the U.S. and internationally. These include the Saratoga & North Creek Railroad in the eastern Adirondacks and the Rio Grande Scenic Railroad, the Mt. Hood Railroad, High Iron Travel, the Texas-New Mexico Railroad, and the West Texas & Lubbock Railway, as well as the Machuu Picchu Train in the Andes in South America. In addition, Iowa Pacific owns the Pullman Sleeping Car Company. Under their leadership, Pullman is actively engaged in the acquisition and restoration of historic Pullman passenger, dining and sleeper cars, with approximately 70 currently in various stages of restoration. This year, they have announced and are about to initiate Pullman Rail Journeys, operating high end overnight excursions similar to those operated in many areas of Europe such as the famous Orient Express. The first tour venture will begin in early November from Chicago to New Orleans. Under the agreement, the parties will work together on the full development of a joint plan that can be submitted to the New York State Dept. of Transportation and form the basis of business discussions with Amtrak and other stakeholders. Iowa Pacific will bear the equipment and operating costs and risks, and will be open to partnering in the costs of capital improvements required on the rail line, to be defined as part of the full plan. According to Branson and Ellis, the full plan will also include outreach to several of the major hotels and resorts in Lake Placid to determine their interest in becoming partners in hosting future visitors.